The basic manufacturing organizational structure follows the traditional hierarchical organizational structure, consisting of a Board of Directors, Chief Executive Officer (CEO), Chief Operations Officer (COO), department heads and then employees. This following image contains the organization chart and program assignments for the Manufacturing Office. The key functionality of manufacturing organizational chart includes production, purchasing, marketing, Technical, accounting, HR and customer service. 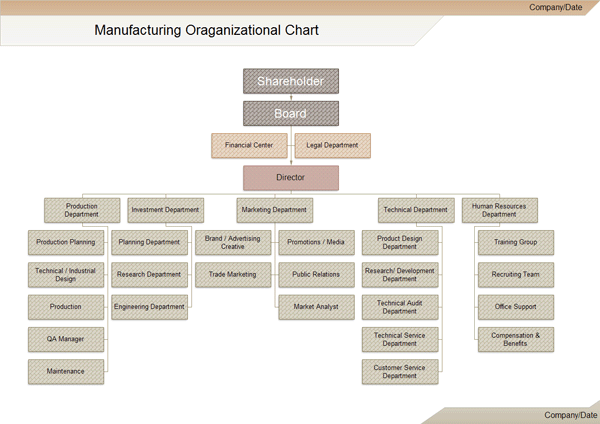 Customize the manufacturing org chart example to fit your company management. 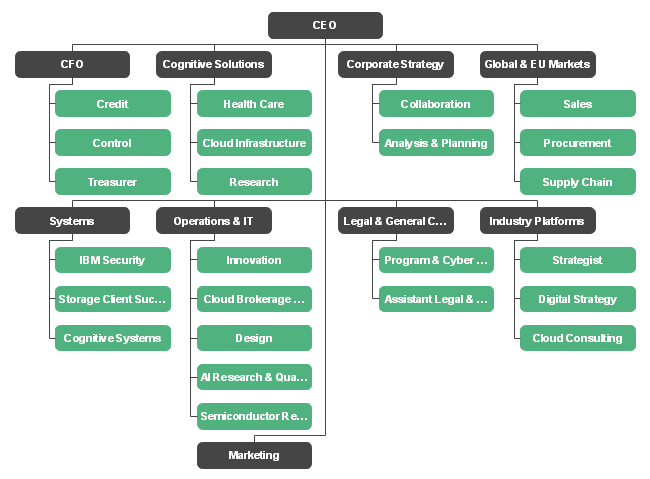 The IBM organizational chart refers to the corporate structure of the International Business Machines Corporation. Free download the IBM org chart for reference and use OrgCharting for more advanced settings and management. 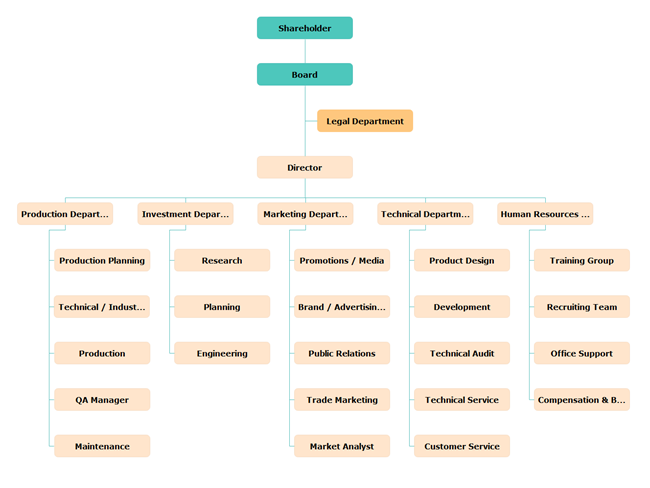 The following organizational chart examples include trading enterprise organizational chart, corporation organization structure, hierarchical organization structure and service organizational chart. 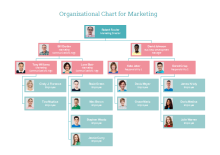 With free organizational chart templates created by OrgCharting, even novice users can readily create clear and comprehensive enterprise organizational charts.